Ningaloo Reef, Western Australia.. John Huisman. © John Huisman (j.huisman@murdoch.edu.au). The type species (holotype) of the genus Sirophysalis is Sirophysalis muricata (C.Agardh) Kützing. 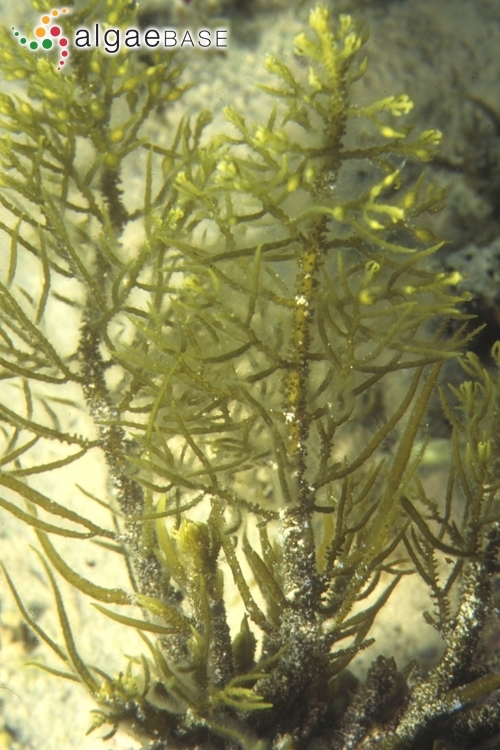 Type locality: "Hae tres species ad littora urbis Tór" [El Tûr, Sinai Peninsula, Egypt] (Forsskål 1775: 192). Lectotype: C Herbarium Forsskålii No. 889 (Womersley 1987: 358). Notes: Lectotype (C) illustrated in Boisset & Ferrer-Gallego (2015: fig. 2 B). Boisset, F. & Ferrer-Gallego, P.P. (2015). Typification of the Indo-Pacific Sirophysalis trinodis (Fucales: Sargassaceae). Taxon 64(6): 1275-1279, 3 figs. Dixon, R.R.M. & Huisman, J.M. (2015). Fucales. 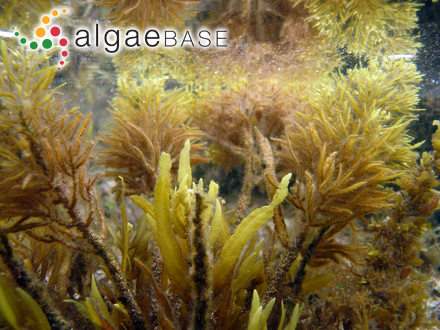 In: Algae of Australia: marine benthic algae of north-western Australia. 1. 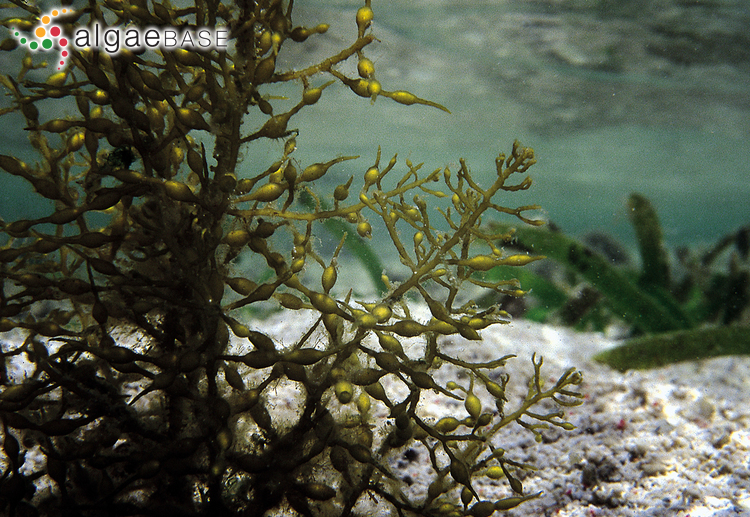 Green and brown algae. (Huisman, J.M. Eds), pp. 245-275. Canberra & Melbourne: ABRS & CSIRO Publishing. Draisma, S.G.A., Ballesteros, E., Rousseau, F. & Thibaut, T. (2010). 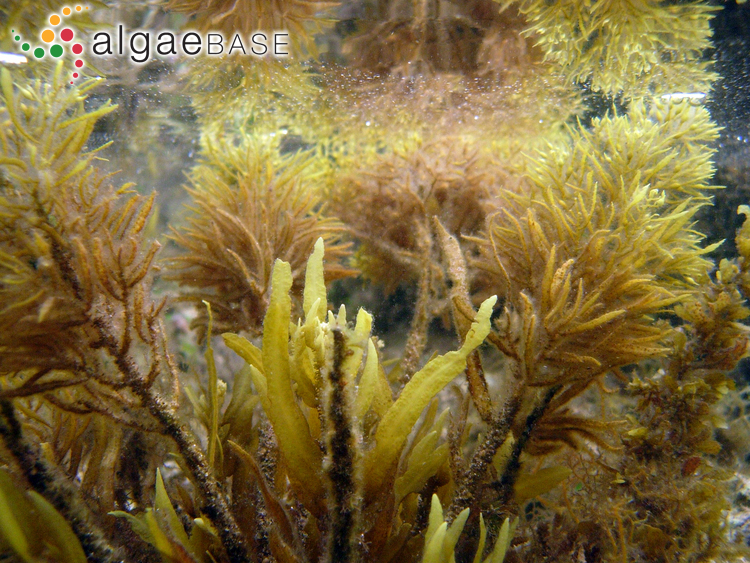 DNA sequence data demonstrate the polyphyly of the genus Cystoseira and other Sargassaceae genera (Phaeophyceae). Journal of Phycology 46(6): 1329-1345.